Friday Night Fish: Fun Fish Fry Facts - When do you Typically Arrive at a Fish Fry? 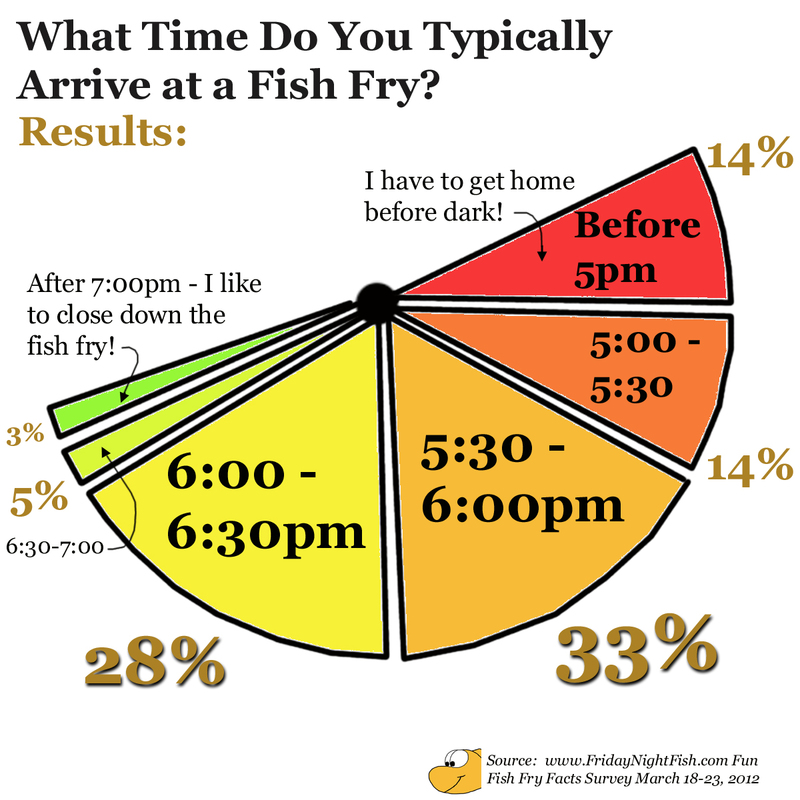 Fun Fish Fry Facts - When do you Typically Arrive at a Fish Fry? 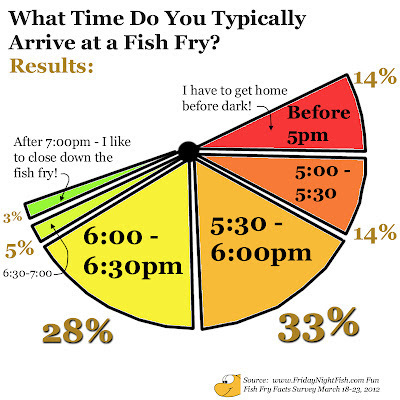 Over 60% of Fish Fry Fans arrive at fish fries between 5:30 and 6:30pm. We are answering the important questions at Friday Night Fish!